A new line of A700 Amber safety eyewear has been introduced by Sperian Protection into its existing A700 Series. 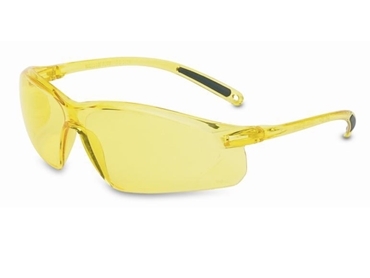 Sperian Protection is a major provider of personal protective equipment (PPE) and announces the release of the bright new Sperian A700 Amber safety eyewear. Sperian’s A700 Amber safety eyewear is suitable for indoor as well as outdoor use and features an amber-coloured scratch-resistant hardcoat lens designed to absorb blue and ultraviolet light associated with hazy light conditions such as dawn and dusk or even foggy situations. Sperian A700 Amber safety eyewear lens transmit approximately 90% of available light to significantly reduce the haze associated with blue light. Amber safety eyewear provides wearers with a perception of clearer and brighter vision, improving safety and vision protection. The safety eyewear comes in a smart design offering protection and style in an affordable package.